I am starting this blog to launch my 2nd attempt at Llandros Ultimate Sim Challenge. Why a second attempt? Because the first attempt failed halfway through the season with a series of crashes and corrupted saves. And when I couldn't fix them I decided to just start from scratch, and take what I learned in attempt one to improve my strategies! I have already built my future ultimate sim a very decent house to buy after getting her degree, instead of taking over the Landgraab mansion. Which ended up costing around 400k, but as she has to be a werewolf and found a couple of pieces of tiberium in the university world, I hope she will be able to afford it! You can find the screenshots of the build here! If you read this blog, and like to say something, comment, give tips, ideas, or friendly yelling that I totally messed something up in your opinion; please feel free! This is not the kind of blog where I alone may post! I love to hear from anyone who likes to waste their time on me let me know! Reintroducing Amber Allstar! Amber is Ambitious, Charismatic, Genius, Perceptive and Perfectionist. 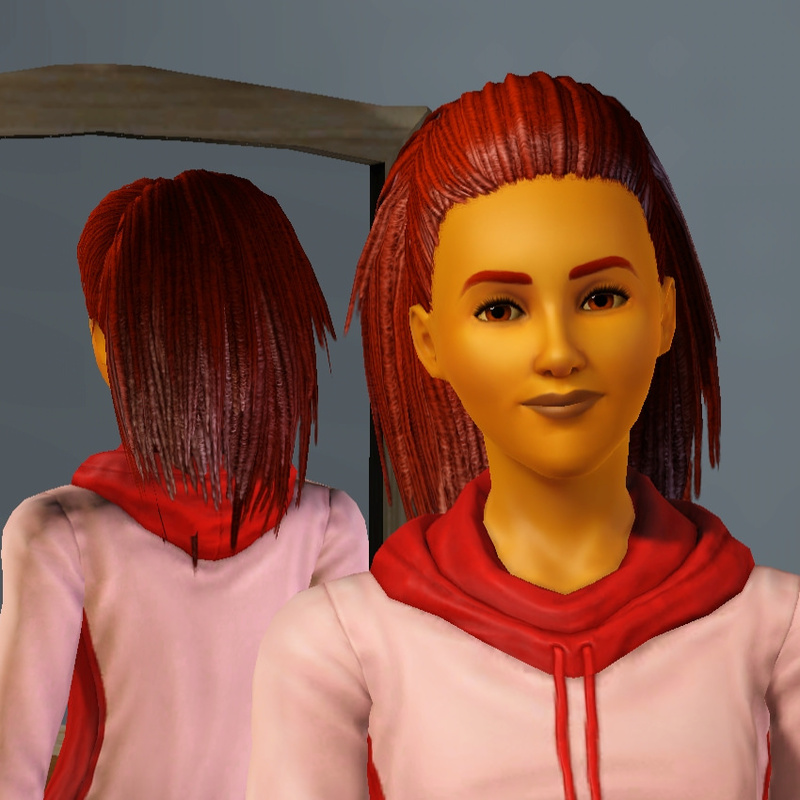 In my 1st attempt she was Artistic instead of Perceptive, but I didn't find much use for Artistic (yet) and can get that probably as a bonus trait some day, and I got very annoyed by how long it took her to discover other sims personalities. Her ambition is to become a Seasoned Traveler, for two reasons, 1 is that we probably won't finish that until the last season, and 2 because it is worth so many points. I've got a lot of the Nraas mods installed at this moment, being: Debug Enabler, Dreamer, Error Trap, Master Controller, Mover, Overwatch, Portrait Panel, Relationship Panel, Saver, Story Progression, Tempest, Woohooer. Some are useful to allow the possibility of over-stacked household, others to help preventing crashes like before. I have Saver set up to automatically prompt for a backup every 6 in game hours (at 0, 6, 12 and 18), Story Progression on Snail speed and with not renaming spouses and Tempest to automatically ditch autumn leaves in the winter. There are going to be some things that I do differently then Llandros put them in the rules. One major difference is the extended Baby List I posted in his challenge. I am also planning to not move Amber to a new town until she can move there alone (basically, after everyone died, there I said it) because I want every town to have their own partner and children, and moving with all of them makes it take longer before I can start the new family. Besides that I haven't decided yet whether I am going to stick with the 4 week jobs rule, or just finish the job to the highest level and complete the week in which I reached it. That might take 3 weeks or it might take 5. I see no reason to spend a whole extra week after having reached the top, and I also don't want to stop before I did. And I am probably going to take random weeks off before, between and after university / jobs / travels, etc, to achieve the other goals, like having a child or collecting stuff! As you can see I have left out the roommate requirement for this season. I tried that in my first attempt at this challenge, but A} they annoyed me so much, meddling with my plans, standing in the way, and being a general (uncontrollable) nuisance, and B} I already have plenty of roommates during all 6 university degrees, so I decided not to do that again. Llandros pretty much set the standard for this challenge, he started out by going to the university twice, then came back and immediately took a job, and later he went to Shang Simla to purchase stuff. I am planning to do it slightly different. I am going to Shang Simla FIRST to buy chests as having an inventory full of random stuff irks my OCD to no end and there is no reason to 'suffer' when I can have chests at a later time anyway. I won't buy anything else and I will travel back home right after buying them. And after I return I am going to have her take the aptitude test and enroll in University straight away. Just as I expected she's got 6 points already! Unfortunately my option of going just once using nraas traveler wasn't working, yes the term was two weeks instead of one, but she couldn't get 2 weeks worth of points for that term, so that made no sense, so I removed traveler and two other nraas mods, and signed up for 2 weeks for a total of 24 points. I am going to do 4 weeks with 12 points each as a nice balance between studying and other pursuits. I had her rent the dorm that is closest to the business school and used my money to decorate the room a bit, as well as placing her some chest to start collecting! All the furniture that I haven't kept in her room has found its way to other locations in the house, except for the original bed which is temporarily in my inventory to place back just before she leaves! The chests are color coded as I saw Llandros do. The one with blocks is the school chest, it will hold school related stuff like diplomas, degrees, and anything else linked to school that I can't or don't want to sell. The chest with butterflies is for insects, the gold one for metals, and the green (emerald) one for gems. 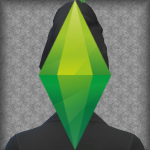 Meet as many sims as possible, preferably including werewolfs and celebrities. So Amber is now halfway through her first week at the University, and so much has happened that I just wanted to write an update! One of our goals was to meet & befriend a werewolf, and therefore I had her visit the supernatural hangout and meet everybody in it. In the end I found a werewolf in a different place all together and manged to befriend her. Wednesday night it was full moon, and I anticipated that, inviting Ashley to meet Amber at the hangout, chatting a bit and then asking for the curse. She was all to happy to oblige, and before I knew it Amber was bitten! This means that she will probably turn by friday night, and have the whole weekend to get skills and go hunting! Perfect! From our other goals were the skills which I am working on and getting well on the way, getting a blog going, and meet celebrities. The blog, which I named 'The Way Towards A Business Degree' is steadily gaining followers and is now at 1,5 stars, which also gave me enough build up for the social networking skill to use the transmogrifier app. Which is just as well, because both of the celebrities that Amber has met were giving her their backs and were haughty like "I don't have time for the likes of you" and "Now is not a good time, unless you have something to impress me with" Well. Here is an app, and now both of you are my friends. Bite that! (Werewolfy pun intended!) So that landed her her first 2 celeb stars. Hunt, hunt, and hunt some more! The first two terms are over! She has been working hard at school and it shows, she passed all her exams with flying colors and is heading towards an A-grade. She has gotten 24 credits these two weeks, together with the 6 she already had from the aptitude test that makes 30. I was planning to go for two terms twice, but I'm pretty much done at the university so I am going one week instead. When she got home I had her retake the aptitude test, and to my surprise she has gotten 6 extra points and now has a total of 36, meaning one 12 week term will finish her degree! And ofcourse she turned in a werewolf just before the first weekend! She has been hunting and getting to know other werewolfs, as well as getting her lycanthropy skill up a bit, which is currently at level 8. As for the other goals, she has gotten both charisma and social networking up to level 10, and all but one challenges finished for both. For charisma the one I haven't got yet is the one with 100 jokes, which I simply am not bothering with as it won't cross over when I move to another world. And for social networking that is selling 5 blogs, as I am keeping it to 1 blog per season. Halfway through the week I have gotten a bit of progress, though there is still much left to do! She has been out in the snow hunting, aided by the immune to cold reward trait. That is the third reward I bought, after observant and opportunistic. I also got the blog to 5 stars, but I'm not going to sell it untill after graduation due to the help the followers can give. The thing that I'm currently most worried about is her performance. Where I didn't have much trouble keeping it high in the first two terms, probably due to skill building, now its about halfway even though she studies hard. I really want a flying A grade so the rest of the week will be spend on studying alone, untill she passed her exams. Which leads to a thing. She was only a level six rebel. Due to needing all the time I can get for studying I decided to buy the rebel influence reward twice to get her to 10 without wasting precious hours. This also meant that she got her rebel bonus trait, where I picked Born Saleswoman for her as I loved it so much in my first run, and I didn't really see something else to consider at this stage. After some hard studying (so much that Amber started complaining) she did it, and managed to get an A-Grade. However, the first time around I got the "perfect GPA" and this time I didn't. Which I am a bit bummed about, but ok! As her graduation trait I picked Nurturing, to help with the daycare, but I am planning to pick a different one after each degree! I used up all saturday to cut all the gems that she found, with her own gemcutter, and took them to the elixir consignment store right away. All of them, except for the tiberium crystals and dust, which I placed on her lot to have them grow. I also smelted the metals, which have just arrived and will be brought to the consignment store as well. As soon as the tiberium grows and is consigned I hope to be able to afford the large villa I have build, because right now she is just standing around watching grass tiberium grow glow. This is the day that Llandros would buy a cheaper home and get started on daycare right away, but I am taking 1 week to get settled, and get her boyfriend over from the university world. Yes. Boyfriend. I am going to get them a private wedding ASAP and then he can start helping her out! Oh, and he needs a tiny bit of a makeover, but more on him the next post, so if you haven't done that yet you can star this topic to find out later! Where to begin, where to begin.... By monday afternoon all of the tiberium had grown, so I had her consign it immediately. What followed where the longest 24 sim hours I've yet to know! But then I finally got my money! As she had found 6 tiberium gems, and cut up 5, we had 5 spires and 8 dust growing into 13 big spires! Which turned into a bit more then a million simoleons. Which led to her moving to her beautifull new house! Whoever missed it, there are screenshots of her house at this build topic! She also invited her boyfriend Aaron Matthews over from the University world, in the hopes of being able to move before the next morning! And that turned out a good move, because her she is, sleeping and waiting for him to turn up! As soon as he comes over I will work on having them engage, and then have a private ceremony right away! And then he is going to get a little makeover because man, that ring beard just doesn't work for me. Get a beard or get none.... As soon as we have beautiful pictures of her proposing and them marrying I will share them with all of you! Apparently when you move house any standing invitation of foreign sims simply get cancelled without any notice. Which I found out while Amber was waiting near her gate for over an hour and Aaron never turned up. So I invited him again, and waited another 24 hours, at which he finally arrived. In the meanwhile I had her study Alchemy, which is the season 1 'free skill'. After he arrived she did a couple of friendly interactions and asked him to move in, and after that it didn't take long before she got down on one knee! Ofcourse he said yes, and as I am not feeling up to par for big parties, especially in a town where both of them know nearly nobody yet (as they were in the university world all the time) I had a private ceremony, and now they are married! I did give him a small makeover, because those green pants, that halfway beard. Nope. However, I just picked a couple of things and tweaked some colors, where I spent a LOT longer on Ambers outfits. But then again, she has to live with me for 19 seasons and he only for 1! I've been working on Aaron for a bit, tweaking his outfits some more, and his hairstyle after he finally turned into a werewolf. I like to make their hair look the same, because you don't all of the sudden grow 20 cm of extra hair on your head only to loose it again. It's just not going to happen. I also noticed that he was a level 10 rebel AND had a degree and almost a second one, but he had no trait for both accomplishments. So I felt free to pick his extra traits myself with nraas, and as he had the necessary stuff to earn them I don't feel like I was cheating. I gave him Green Thumb and Handy, because that will be a great help around the house. I have also been working on the daycare room, as she signed herself up for it at friday evening. For this purpose I installed the Baby Swing, the Baby Walker and the Playpen, which I will only keep installed during her daycare career and when she has toddlers in her household. I also kept the green theme from the daycare room. Other then that Amber has reached Alchemy level 8 and knows all the recipes up to level 8. She also managed to buy all the "recipe book only" recipes for alchemy, and also all the normal cooking recipes that I stored in a chest with the ones from Shang Simla for when she is finally allowed to learn the cooking skill herself. She also bought some skill books for Aaron. And she collected some rare seeds that unfortunately require level 7 to plant. I hope that there is a life fruit seed in it. I am considering installing and placing the greenhouse to send Aaron over to it, so he can analyze them. As far as the daycare is concerned, Llandros was making Lacey do it all, while Christopher went to work. He said she is to be the ultimate sim so she should do it all. I have a different opinion. Yes she should do all jobs, but in a real daycare you aren't alone with that amount of kids, and part of running a business (even from home) is arranging to have people help you whenever that feels necessary. So Aaron is just going to have to pitch in. He doesn't need a job as she has plenty of money for both of them, and I need him around the house. Aaron has made a start on the cooking skill, but also on the gardening skill, which gave him some seeds to plant. I have had him plant only the ones that Amber needs for Alchemy for now, because I am not really interested in food ingredients just yet, and maybe never during this season. He just has to build his skill for when they get to planting the rare seeds and possibly life fruit, which she needs until I can get her the age freeze potion. Thusfar I have played through just 1 day of the daycare profession. Twice. The first time the kids were dropped off literally on my driveway instead of in the hallway. I didn't save that game, got back to the main menu and reloaded it, and it turned out it had set the left gate as front door instead of the actual front door. When I had that fixed the kids were properly put down in the hallway. Which saved a lot of sad toddler tears of one of them waiting before the other was brought inside. Then I had both of my sims tune in so the kids would get maximum attention to their needs. And at the end of the day they were both doing "great" just before they were picked up, AND both of them had learned how to walk, but when I got the report it showed one of them as "good". Can anyone explain to me how this is possible? I also put the last (well, for now at least) finishing touches to the house, changed some doors for arches, tweaked the color scheme, and made the garage a bit bigger. I made some screenshots in my build topic over here. I also uploaded my lot to the exchange here, but somehow it shows only screenshots of the building without the actual furniture. Can someone tell me if that is how the exchange works or something went wrong with me uploading it? Thanks! I finished the first week of daycare, apparently it is still so that if you have certain packs the thursday isn't a workday so I only had kids coming on mo-we. Like the first day, I spent some time the second day trying to teach them something, and where they learned how to walk on monday, they learned how to talk on tuesday. At the end of the day, again, both showed as doing 'great' but at the report both were marked as 'good'. I really don't know what causes that, it frustrated me to no end. Then the third day came, and they were doing so good that they had no wants, and when one parent was late I spend some extra time cuddling the kid who stayed longer, and finally I got two 'greats' on my report cart, and the promotion to level 2. I also decided to sell and remove the playpens and the walkers CC, because I don't really use them for the daycare, and they were in my way. I moved the toys from the center down to that wall to make the room more open. Aaron has been studying hard to get the gardening skill up, and being a green thumb he loves every part of it. But standing out there in the rain, getting soaked, is not really good for him. So I decided to build him a nice greenhouse. Instead of installing the greenhouse set from the store I decided to just install the swiftgro station and the happy looking sunflowers and build my own greenhouse in their backyard. I also found some rare seeds near their house, which he managed to identify with the station, and some of them were the much wanted life fruit seeds! I have been running into a very annoying issue. Again. After the first week and/or getting promoted to level 2 (I don't know which of these causes it) no more kids are showing up at my daycare center. So I have been sitting at home being "on the clock" all day without doing anything. In my previous save I tried quitting and rejoining, resetting all sims, moving house, checking the amount of toddlers in town, but all to no avail. If anyone has another tip that could help, or a known cause to this bug, PLEASE let me know! As far as my other goals go, Amber reached level 10 in Alchemy. She also found / read all recipes, brewed 150 potions and threw 50 at a handfull of sims. I just spammed 3 or 4 sims with a lot of useless cures for that last one! So she got all of the Alchemy challenges out of the way. You have to do something on a daycare without kids, don't you? She also managed to collect all metals and gems, and her husband collected all metals and all but 2 gems. As soon as he has all the gems as well I am going to cut up all the gems and consign them. I already cut the tiberium found so far, sold half of it (that was already grown) and put the other half down to grow. So as they had plenty of money before, they have even more now! And Aaron also reached level 10 in lycanthropy, gardening and handiness. Well, that was that for the daycare career. After the first level no kids showed up. Ever. Not even the biggest kids. So I just upped her to level 5 and then when even then nobody came I considered the career 'finished'. Is it cheating? Yes and no. Yes, because I leveled her up (she is supposed to do everything) & no because I had no other options. It wasn't possible to do it legit. So now she has at least a week off, in which we are going to try to get some offspring going. I have a potion of procreation and I am hoping for twins! More on that later. They have both finished their metals and their gems tab in the collection book. I had already smelted and sold all of the metals (except for 1 ofcourse), and likewise I have just sorted all gems. In both chests (metals & gems) I kept the heaviest piece of each type for later, and smelted / cut up all the others. I have just had her take all the heart shaped gems and nearly all gem dusts to the consignment store, before I closed the game for today. The last pieces of tiberium are laid out to grow and will be consigned when they have finished growing into large pieces. If you haven't been here before, welcome, if you have you might have noticed. I changed up the layout of this blog for better readability! I created a banner for the original post, and an expanding list of links to the first post of each season for anyone wishing to skip parts of the blog. Ofcourse it holds only Season 1 as of now, but you get the idea. I also merged the post about Amber and random stuff, so the latter could be turned into a "Start of Season 1" list, in which I list all of the information and goals that Llandros put up for that season. This start of the season post also has a (smaller) banner so you can find it easily, scrolling, and these will be the posts that are linked to in the OP's index. I have been working on their insect collections for a couple of days, and still they only found a bit more then half of them. Plenty of doubles ofcourse, but nothing new. This is going to take some serious grinding! However, when it started to rain I took them inside so they wouldn't get soaked. They talked a bit, and she drank some curious red bottle labeled 'Procreation Elixir' and then tried something. It did warn us about the probability of having multiples, but she didn't appear to take much notice of that. Afterwards I clicked the toilet like I am used to in TS4, and then nothing. How are you supposed to know if it worked? Well never mind, because when I wanted to resume collecting insects all of the sudden she couldn't transform anymore. And then she got nauseous due to 'unknown causes'. Right. I think I know enough. We only have to wait and see if we do get multiples! After 3 days of counting down every minute, Amber finally gave birth to a beautiful baby boy that I named Bryan, and then changed his surname to his fathers. I have Nraas set up to not change marriage names (I want Amber to remain Allstar) he was called Allstar at first. And, as I was really hoping for twins AND both of them have a 5.750 point wish to get a girl, I went ahead and went for a second little one right away. I wanted them to have two, so why not have them close to each other. They are both at home until Amber enters the business career, so plenty of hands to get both the attention I'd like to lavish on them! For several reasons I decided to take down the greenhouse. First of all because I noticed that each time I use CC (even store content) my game gets just a bit more buggy. And they have grown so much life fruit that she will probably last until she manages to buy the age freeze potion. I have moved the remaining plants inside and will have Aaron take care of them and harvest them until they die! I also have a few death flowers sitting in a chest for any event in which Amber should need them. I also still have 5 plants of them, and whenever they are harvested I have him try to revive them, to grow the stack a bit bigger! Shortly after Bryan aged up into a toddler he got a little sister. I intend to do some kind of alphabetacy with the names of her offspring, mostly per type of birth so that means the little girl will also have a B name (also a werewolf baby), and I called her Becky. I said mostly because I am intending to go to Z in the end, and if I just take all the types of birth on my list. I will be 6 short of Z. But still, Becky is a B. And Becky has changed her surname to Matthews just like her brother, as I am planning to name all of the kids after their dads. I am not exactly planning to play some kind of legacy challenge where you have to wait for a kid to age up naturally, as IMHO the focus should be on Amber and what she does with her family, and not on the kids. Therefore I decided to allow myself to age the kids up early as I see fit, according to some basic rules. For babies I don't really have a rule, as after one you probably know the deal. For toddlers the rule is simple and logic, they have to learn walking, talking and potty before they can age, so the caregivers still need to spend time teaching them. I don't know how kids & teens and school works in TS3 yet, in TS4 the rules are mostly "after getting an A at school", but until I know for sure I will probably keep it to something like this. I decided to age both Bryan and Becky up from toddlers to children on the same they, even though they were born about 3 or 4 days apart, so they can grow up together. I liked that. I did change their hairstyle slightly (not the color) and gave them nicer outfits, because the random mix-match that the game puts them is is just, well, random. Time to find out how school works with TS3! After trying to expand Ambers insect collections for 2 full days, without finding anything new, I decided that this won't work. I'll have to come up with a different tactic. That also means I haven't got much use for a pack to hunt with, and as being a wolf slows everything down and makes full moons trouble, I decided to cure Aaron, Bryan and Becky shortly after I managed to find all ingrediebts and mix the cures. Nearly immediately after curing Aaron was '0 days' from aging up, so I took out some cake and had him age up right away. Just before I closed the game I saw something about a midlife crisis flashing by. Man, TS3 is so much more realistic then 4! I am still trying to find my way in everything that's different but it has won my over by a long distance already! Travel to all 3 countries for receipes and other stuff I need at a later time. After a couple of days of hard working both kids had their A grade and so I aged them up into teenagers! Just a bit more of studying and they will be adults. And then, like Aaron, they can simply do as they please, because I want to focus mainly on Amber. This will be a small update because other then the kids aging up to teens I haven't been able to play much, so nothing much happened. There has been a triple birthday! Both teens had A grades and were aged up into young adults, and Aaron became an elder! So much happening! Aaron has been busy mostly with a couple of life fruit plants and some death flower plants, which Amber now has around 180 and over 10 of! That will help her untill she can get the age freeze potion! I also bought the collection helper and the map to the stars for Amber with Aarons points! Previously I was annoyed with my daycare not running on thursday due to seasonal festivals. Then it turns out no career or school runs on thursday. Every single week. Which is simply too much and not realistic. So I set up Nraas Story Progressions to undo the festival days off for both careers and school. Now we can see some progress! I also set bills on autopay with atory progressio because in real life many are autonatic also! A couple of in week games have past and she is now at the top of the business career! I will probably spend the remainder of this week to get her performance up to the max before she can quit this job, but hey, that's one more goal down for this season. Now all we really need to do is get the bookstore career, go shopping and wait untill she can move to the next town alone.... Talking about which, currently Aaron has passed the 80 something, and both of the kids are now adults. So that should get things moving along a bit! I wanna be forever young.... is what Amber must have thought, when she was drinking the Age Freeze potion! She had enough points to buy it, and I have been debating for a while if I should do it now or finish her stash of life fruit first. But in the end I decided to just do it, and be done with the constant checking of how old she is and the likes. Besides, except for the Alpha Dog trait, which she needs to buy before curing, there is nothing else really high on my to do list for now, so why not! As I mentioned before, I am planning to visit all of the 3 countries before this season ends, so I won't have any travel files in the next town. I am planning to buy all types of chests, all of the receipes, all of the fishing books and the martial arts equipment. I am also planning to spend all of the 3 day journeys collecting insects as a werewolf so I hope I can get a bit of that collection done that way. And then when I have all of the shopping and all of the goals, and the family has, cough, 'moved on', it is time to sort her stuff, think about what she is taking with her, and move to the town for season 2! I am currently finishing off the last checks on the list for this season, and I am so excited to move! She only had the bookstore career left to do, which wasn't too hard, so that is done. She also had to say goodbye to Aaron, Bryan and Becky. She was very sad, but alas, this is also part of life. Especially for someone that is forever young (due to the age freeze potion) it won't be the first nor the last time she outlives her family. All that is left for now before I wrap things up is travel to all of the three countries, buy stuff, and hunt for insect untill she gets shipped back home! Hunt for insects in all three countries and hopefully complete her collection! The next post will be the start of season 2! As you can see I already checked off the 'Travel: Buy Recipes' options with a star, as I decided to do that prior to moving town. That way I won't have all the country files in my new save, which I hope will help keeping it running optimally!